Discover a variety of new crafting possibilities with your Silhouette electronic cutter and sketch pens! These pens fit directly into the blade holder of your Silhouette making it easy to transform any digital design into a work of art. 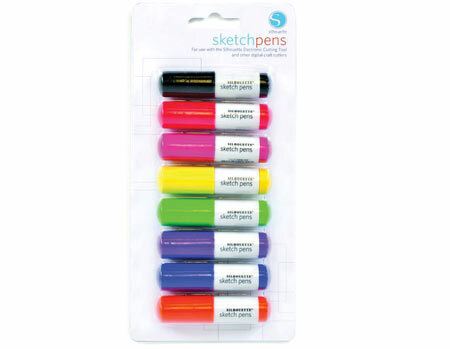 Contains eight pens: one black, red, pink, green, yellow, purple, blue, and orange.